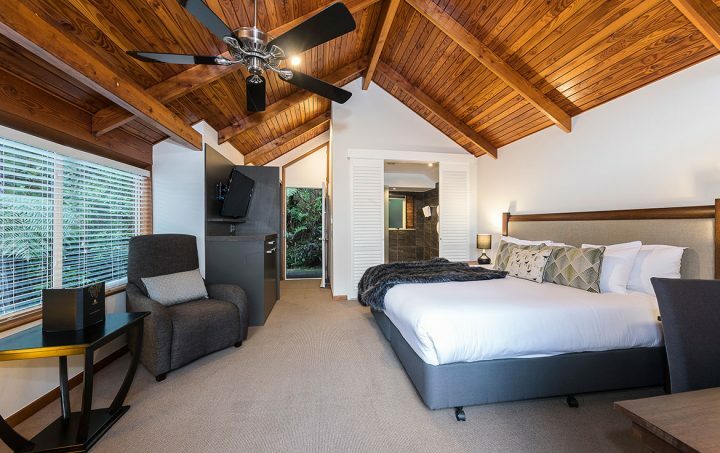 Managed by Accor Vacation Club, Grand Mercure Puka Park Resort is a secluded luxury lodge set amidst 25 acres of New Zealand native bush, on Mt Pauanui in the Coromandel Peninsula. 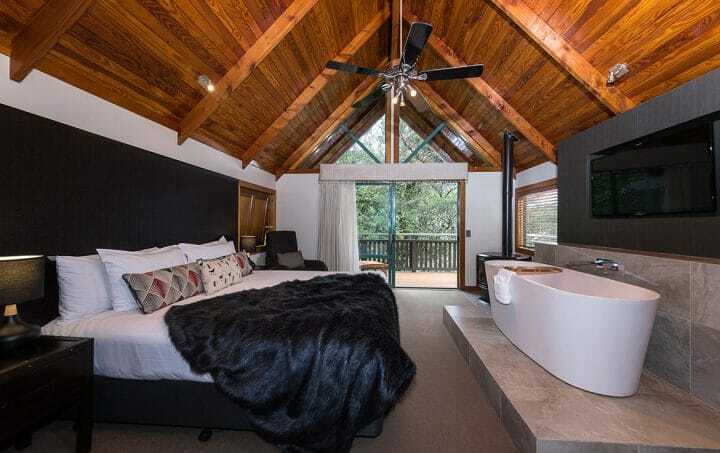 Only two hours drive from Auckland, Grand Mercure Puka Park Resort features luxurious chalet accommodation in an idyllic bush landscape. Spend your evening star-gazing on the private deck of your grand chalet in the treetops, following a delicious meal at the Resort’s award winning Miha restaurant. For luxury seclusion at its best, Grand Mercure Puka Park Resort offers a premium getaway in an unsurpassable location. 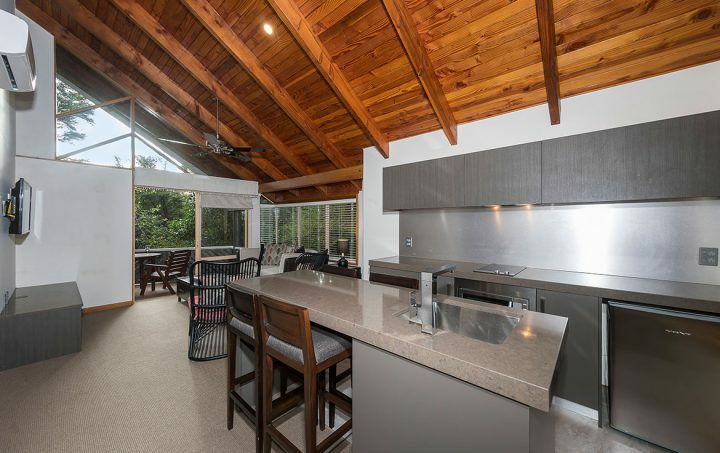 This property is two (2) hour’s drive from Auckland and is considered a peaceful yet remote location. This property is set on a hillside location and may not be suitable for those with mobility difficulties. A golf buggy is available as a courtesy transfer to take guests from reception to their studio and vice versa. Internet: Free internet access is available. 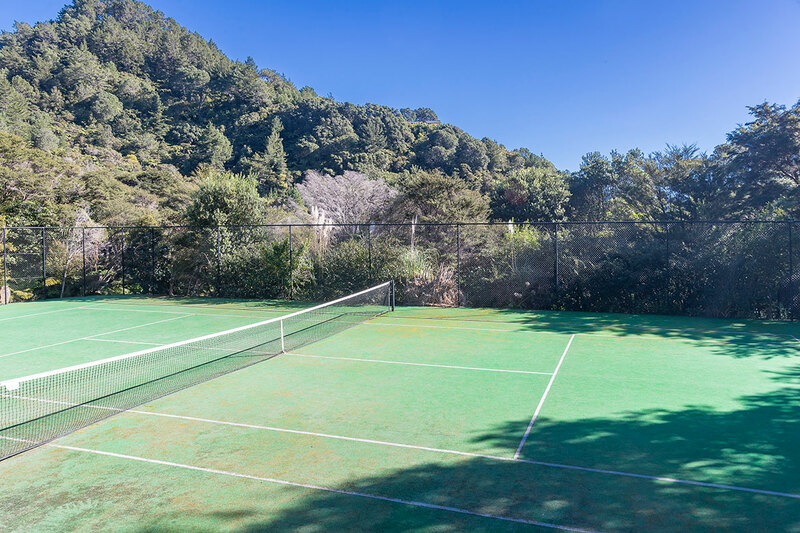 The Resort: Sauna, swimming pool, tennis, tour desk, gym, bicycles hire (fees apply), and self service guest laundry, restaurant, bar, safety deposit boxes. Cafe Chalet offers in room service basic for meals. Dinner from 5.30pm until late. Last seatings at 8.30pm unless prior arrangements made. 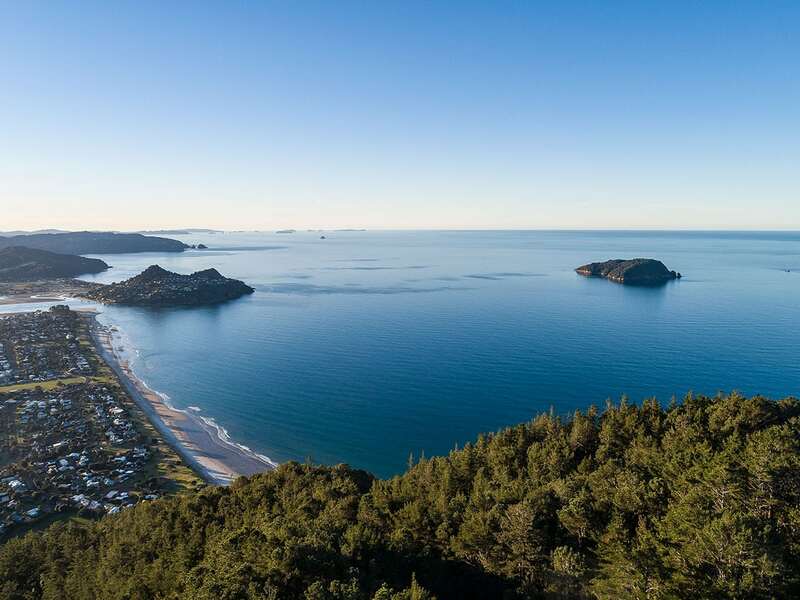 The Coromandel Peninsula is a two(2) hour drive from Auckland and two(2) hours from Hamilton, Tauranga or Rotorua along the spectacular Pacific Coast Highway. Highly recommended that you have your own vehicle to drive to/from the Resort. 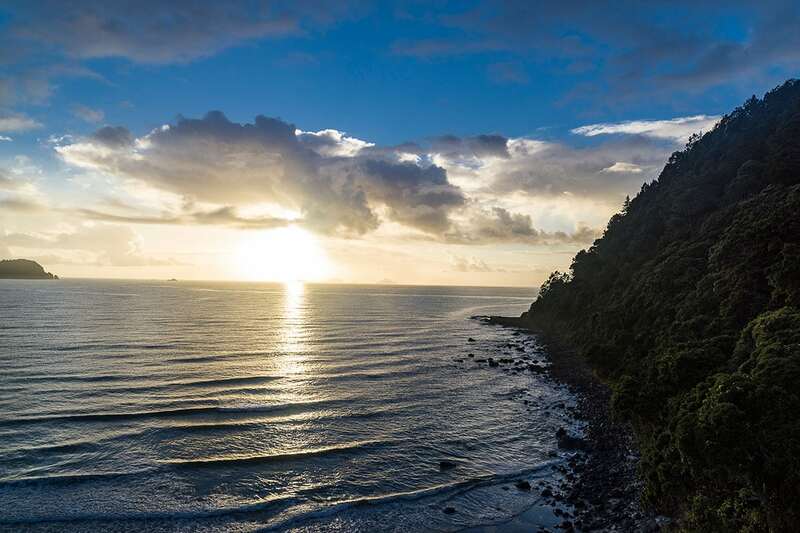 The nearest major airport is Auckland International Airport – two (2) hours drive away. King, shower, coffee and tea facilities, TV, discovery, sky sport, sky news, radio, DVD player, fan and heater 29 square metres. Kitchenette – 2x burner cook top, microwave, toaster, kettle, bar fridge, dish draw, laundry, ensuite bathroom + bathroom off lounge – (shower only), 2x TV’s, discovery, sky sport, sky news, radio, DVD player, fan and heater, cots available on request (charges apply). 1 bedroom downstairs and 2 bedrooms upstairs. Full kitchen, master bathroom upstairs (separate shower and bath), 2nd bathroom downstairs (shower only), 2x TV’s, discovery, sky sport, sky news, radio, DVD player, fan and heater, cots available on request (charges apply). 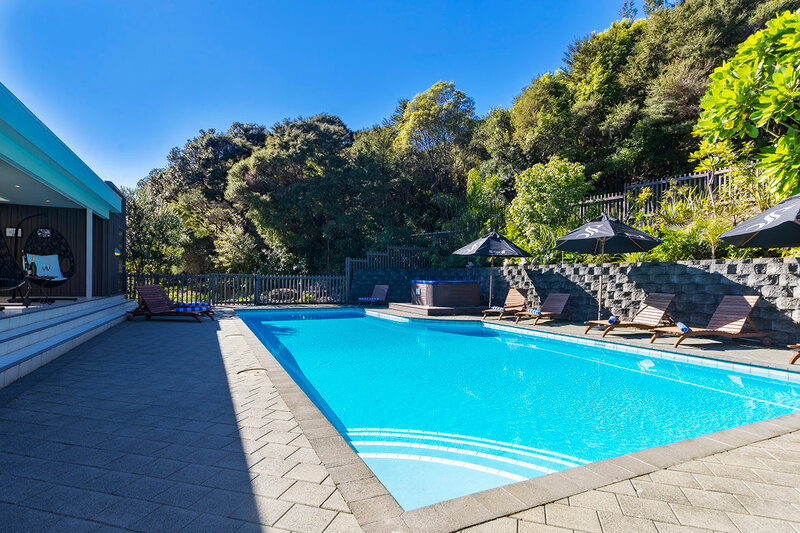 Puka Park Resort is the ultimate venue combining all the romance of the kiwi bush with the charm of Coromandel’s best beaches and all this is under 2 hours from central Auckland. 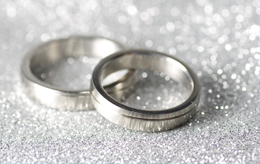 There are 42 tree hut and bush chalets allowing us to specialise in weddings for up to 120 guests.